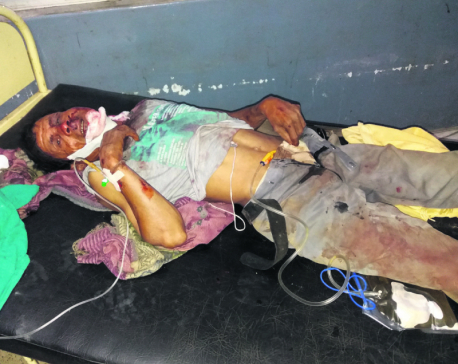 ACHHAM, Dec 28: Dambar Swar, a businessperson from the district headquarters Mangalsen once traveled to Nepalgunj via the Mangalsen-Binayak route on his motorbike. After reaching Karnali River, he had to wait for a ferry, which would ferry him and the bike across the river. When the ferry arrived, it was full and he felt that it was not safe to board it. He talked with a few boatmen for their services, but after seeing the boats, he felt they were also not safe either. It was already late night by that time and after he failed to get a hotel around, he had to return to Binayak. “That day was full of hassle. Though I was actually in a hurry, I had to get back to Binayak and the next day had to travel Nepalgunj via Surkhet,” Swar said of the journey. He is still active in business and frequently travels to several places from Mangalsen. Hassles like these bother frequent travelers like Swar in this part of the country. However, recently there has been some progress in cutting down these hassles. Construction of a concrete bridge over the Karnali River joining Achham and Dailekh district as part of the Pushpalal Highway has eased hassles of travelers in the region. Having the bridge on the highway that connects the region with the country, is considered as an important achievement by the locals for easing transportation facility in the region. 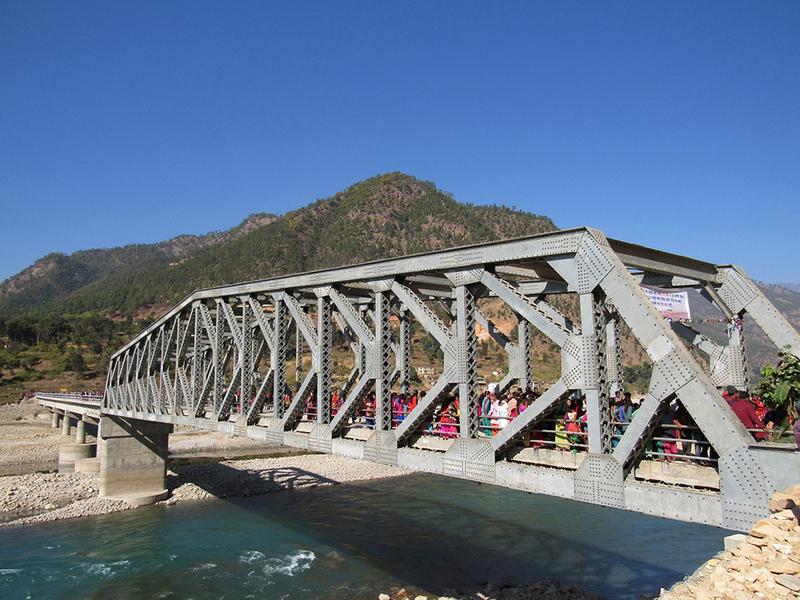 “The bridge has come as a great relief for the people of Karnali region. All of us are happy about it,” he noted. Meena Nepali, a resident of Biyala village of Achham, people in the region have been waiting for the bridge for a very long time. Despite the wait, she said, they are happy that it has now become a reality. Besides ferries and boats, tuins (makeshift cable crossing) are another means used across the Karnali zone for crossing rivers. Even though the government had announced to replace all tuins by suspension and other bridges, this has not happened yet. Nepali stated that Karnali people are forced to risk their lives in lack of transportation services. In such a condition, completion of the concrete bridge has largely eased people, she stated. The bridge has boosted the confidence of local farmers and businesspersons. They believe that it will help them significantly to improve their lifestyles. Bohora, who has recently started vegetable farming is now waiting to send out his productions in the markets the same day. “Now we can provide fresh vegetables to the costumers. Fruit sellers are equally happy,” he said. Even though several organizations and government had equipped the farmers here with technologies and tools for improving their agricultural productions, they had little scope in the market due to poor access to the market. With the bridge, the farmers now believe that they have better days ahead.